We have been unable to obtain verification of your organization's legal existence from your jurisdiction of incorporation. 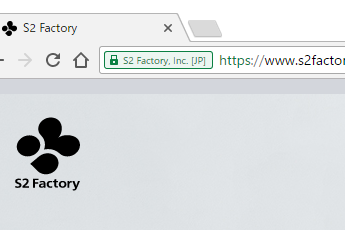 The company name you provided on your order is S2 Factory, Inc.. If this company name is incorrect please let us know. If it is correct please let us know where you are registered, and send us a copy of your articles of incorporation, or other business registration documents. © 2016 S2 Factory, Inc.